I picked up this gold angel wing bowl at Target the other day for $25. 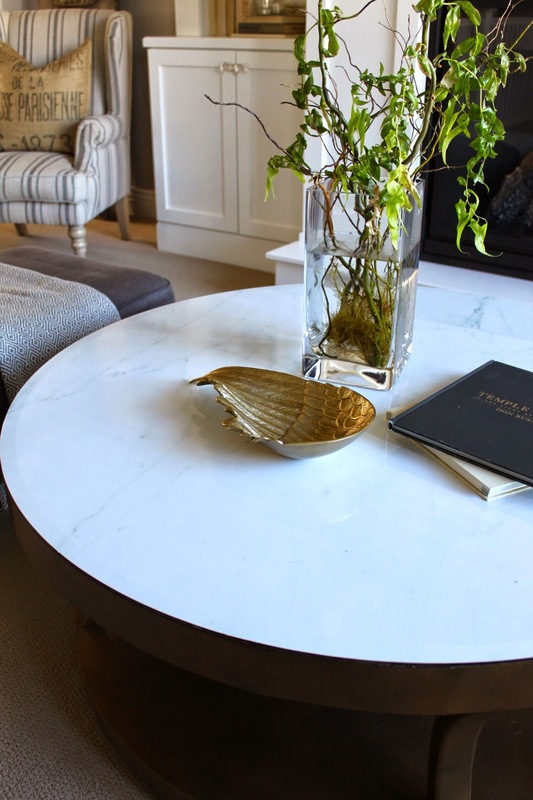 It's a great addition to my coffee table - I love it! I also visited a cute new store on Main Street in Kaysville, Utah - "To Market." It has all sorts of cute and unique accessories along with larger pieces of furniture that have been painted and antiqued. 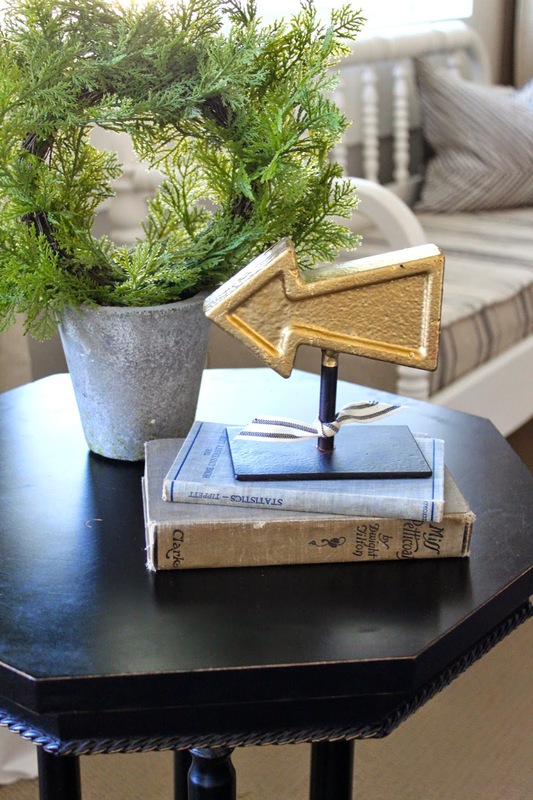 I grabbed this Gold Arrow for $23. 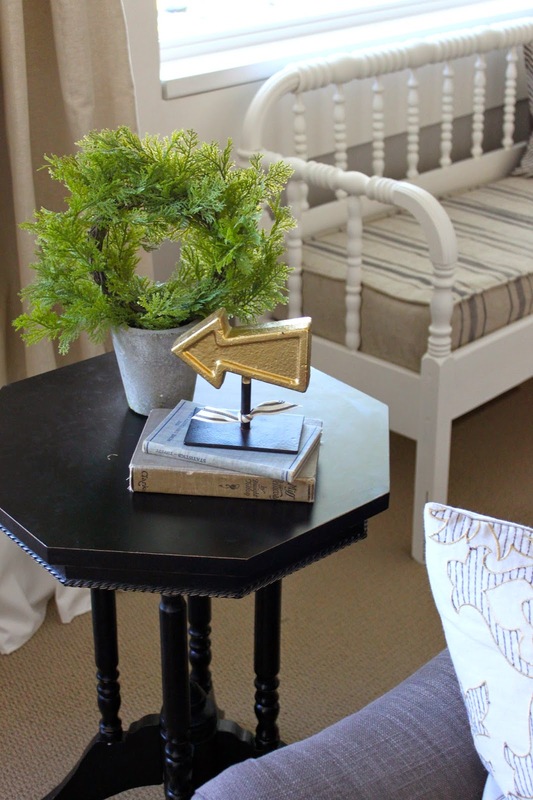 Have you jumped on the bandwagon and started adding gold or brass to your home decor?